Golfs 3rd Major Tees off early on Thursday, July 14 and DraftKings has your name on a score card that could win you $1 Million Dollars. The $3M Fantasy Golf Millionaire Maker is open now and ready for your entry. The actual tournament tee off will be very early on Thursday morning, last years started about 3AM ET (US Time) last year. The DraftKings Millionaire Fantasy Golf contest entries will close at 1:35AM ET (updated) on Thursday morning, so getting your entries in early is key. Also Added: DraftKings has also added a couple of Golf Free Rolls for this week. Just click the Golf tab and scroll to find these contests. $33 entry, registration closes at 12AM ET on July 14th and each player may draft up to 150 lineups. It will payout the top 22,250 users, with the 1st place prize being $1,000,000! There’s more than the Millionaire Maker to choose from on DraftKings Fantasy Golf this upcoming week. The second Major contest is the $500,000 Birdie. 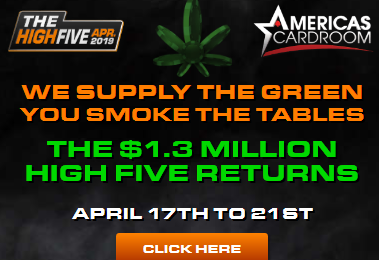 This is a 196,078 player contest that features $500,000.00 in total prizes and pays out the top 38,250 finishing positions. First place wins $50,000.00! The $500K Birdie is a $3 golf contest, so any new users to DraftKings can use their free $3 contest voucher, which you get when you join DK and make your first deposit. As a quick reminder, the minimum deposit amount is only $5 on DraftKings. The $100K Back 9: $9 entry, $100K in GTD prizes, 1st place wins $10K. The $50K Short Game: $1 entry, $50K in GTD prizes, 1st place wins $3K. The $20K Par 5: $5 entry, $20K in GTD prizes, 1st place wins $2K. Check out the entire schedule on the DK main contest lobby, just click the Golf Tab for the entire line-up of Fantasy Golf Contests available. If your into Golf. If your into the Majors. If your into the big names, or even the no-names who sometimes come out of no-where to win. Then, DraftKings is the place you want to be to make your watching the final round on Sunday even better. Imagine cheering for your favorite golfers and for yourself to hit it big on Sunday………. Daily Fantasy for real money is prohibited in the following US States: Arizona, Hawaii, Iowa, Louisiana, Montana, Nevada and Washington State.